Record dispute on the telly? 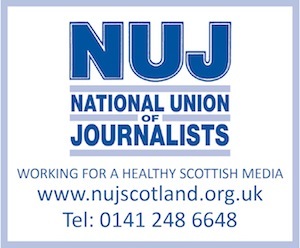 ALLMEDIASCOTLAND hears that, in a couple of hours’ time, a TV documentary about redundancy is expected to feature the industrial dispute last year at the Daily Record newspaper. Following people who have been made redundant or have taken voluntary voluntary redundancy – and keeping tabs on how they are coping and faring – the documentary, on BBC One Scotland, is part of a pair of programmes this evening on the subject, kicking off in less than half an hour’s time with ‘Famous, Rich and Jobless’. Stop press: It’s 10.50pm and it’s Derek Masterton, formerly of the Record.